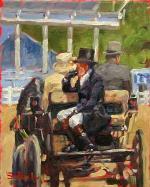 You might see me standing at an easel around the horse shows painting the scenes in front of me! 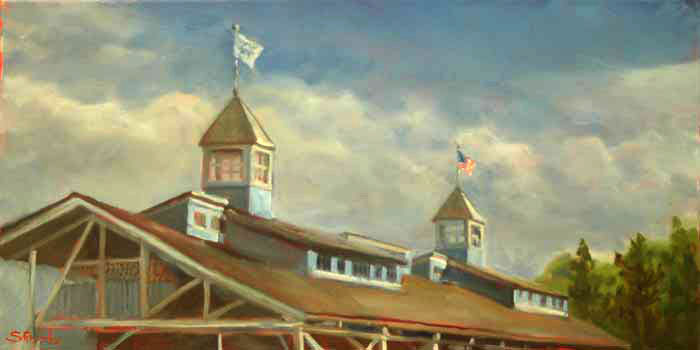 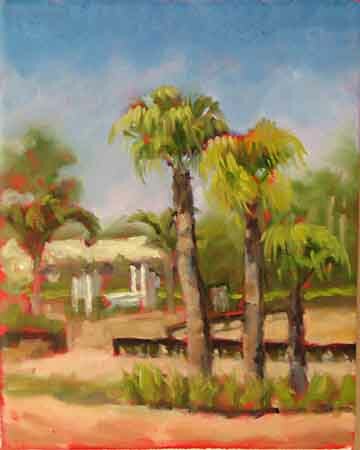 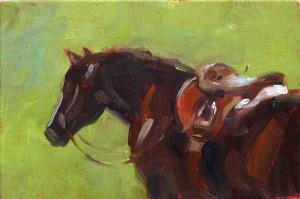 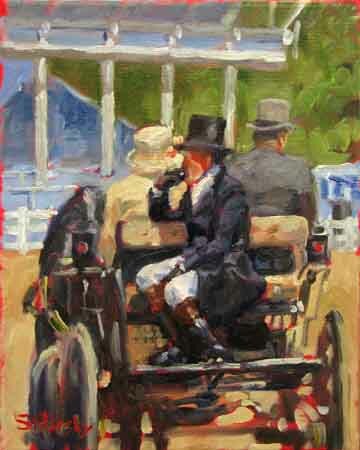 I create these oil paintings on site at many horse shows and they have struck a chord with collectors. 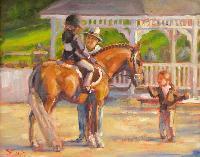 People like to art being created on the scene and love the idea of watching "their" painting develop as they look on. 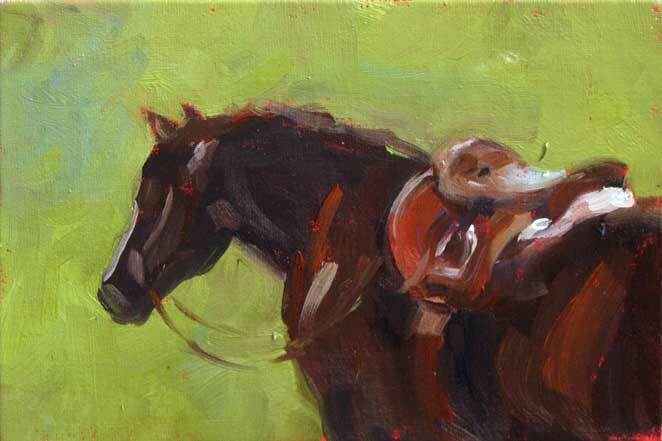 These oils are very popular as one of a kind gifts! Click here are a few examples of paintings I have done for horse show posters, programs and t-shirts. 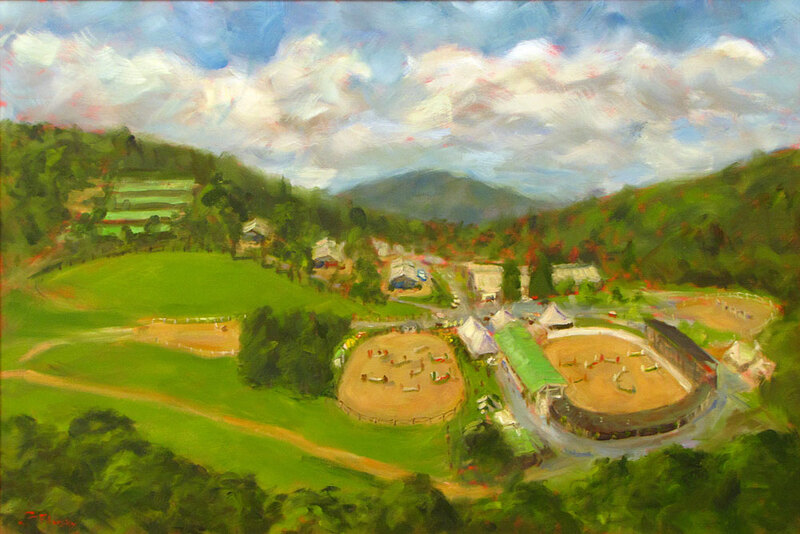 "Pony Morning at Blowing Rock"